French President Francois Hollande has said that he will soon meet his Russian and American counterparts, Vladimir Putin and Barack Obama, respectively, in an effort to settle on a united campaign to defeat the so-called Islamic State. 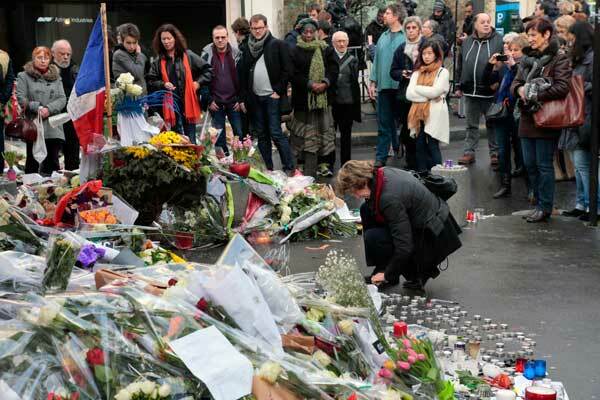 It is unfortunate that it took a series of terror attacks on Paris that killed at least 129 people for world leaders to consider coordination among themselves in the fight against ISIS. Though the French government has initiated a massive mobilisation of security personnel at home and stepped up bombing targets in Raqqa, the so-called capital of the “Caliphate”, what would matter eventually in the fight against ISIS is the resolve of the major world powers to formulate a coordinated strategy that’s not driven by their own narrow geopolitical ambitions but by a common goal of defeating the jihadists. To be sure, France has to first tackle the challenges it faces at home. The immediate need is to tighten the loose ends in security and intelligence. Going by the statements of senior Ministers, the Hollande administration is already at it. This is the second time in the year that Paris is being targeted by terrorists. After Friday’s attack, French Interior Minister Bernard Cazeneuve said most of those implicated in the strikes “were unknown to our services”, in an apparent admission of a major intelligence lapse. Paris, along with other European capitals, should also prevent right-wing groups from utilising the post-attack scenario to the benefit of xenophobic politics. Because if the latter gains political capital out of this chaos, that would only sharpen the dividing cultural lines in European society — which will not be in the interest of the continent. Obama said calls to halt the flow of refugees to the United States were aimed at scoring political points. U.S. President Barack Obama said on Wednesday that, following the attacks on Paris, he wanted Moscow to shift its focus from propping up Syria's government to fighting Islamic State and would discuss this with Russian President Vladimir Putin. Mr. Obama, who is in Manila to attend the annual Asia Pacific Economic Cooperation summit, also said he welcomed France's move to step up strikes on Islamic State and that Washington would help its ally. Mr. Obama said that he saw "hysteria and exaggeration of risk" in some of the opposition by politicians at home to U.S. acceptance of more refugees from Syria. He said calls to halt the flow of refugees to the United States were aimed at scoring political points. The horrific terrorist attack in Paris was likely modeled on an earlier terrorist horror, the November 26-29, 2008 attack in Mumbai, India, in which ten terrorists killed 164 and wounded more than 300. Mumbai has been studied by both terrorists and counter-terrorists because it set a gold standard for how a small group of suicidal fanatics can paralyze a major city, attract global attention, and terrorize a continent. The Paris and Mumbai attacks both used small, well-armed bands of terrorists striking simultaneously and sequentially against multiple soft targets in an urban area. The Paris attackers added suicide vests to increase the carnage. In Mumbai, all but one fought to the death as ordered by the plot's masterminds. The Mumbai attackers used cell phones to communicate with their bosses in Pakistan, who gave them instructions as they carried out their gruesome operation. So far, that level of sophistication and command and control seems missing in Paris. The serial terror attacks in Paris on Friday, which left more 127 dead and many more injured, was the third terror incident in recent times and by far the largest ever in France. They were obviously meticulously planned. The attackers had chosen their targets with care. The attackers are dead and it will be sometime before their identities can be established. The Charlie Hebdo attack in January was a warning from Islamic State terrorists indicating that cartoons about the Prophet Mohammed were not acceptable. They were more than that for those who wanted to read the signals. They were about establishing IS presence in Europe and a warning that France had been active in suppressing the Islamist movement in Libya, where they had established a “wilayat”. A visit to Central Asia by Prime Minister of Japan, Shinzo Abe, October 22-28 is the latest in a series of tours there by the world’s political leaders and Japan’s first since 2006. Accompanied by representatives of 50 Japanese banks, companies and universities, among them Inpex (already an investor in the region), Mitsubishi (bidding for gas field contracts in Turkmenistan) and Toshiba (competing with Rosatom for construction of a $3.7 billion, 1 gigawatt nuclear plant in Kazakhstan, operational by 2024), Japan is seeking investments of up to two trillion yen ($16 billion) that are expected to bring profits of up to 30 trillion yen in the next five years. In Astana, on the final stop of his tour, Prime Minister Abe underlined Japan’s commitment to provide public funding to encourage private sector investment, improve infrastructure and develop human capital throughout the region. Sixty-five Afghan soldiers and several of their officers laid down their weapons two days ago and surrendered to the Taliban in the embattled district of Sangin in the southern province of Helmand. Some reports suggested that the Afghan troops defected to the Taliban, but the jihadist group has indicated that the troops merely laid down their arms. The opposition won a big electoral victory — but in Burma, parliament is not where true power lies. It didn’t take long after polling stations across Burma closed on November 8 for the country’s ruling party to concede defeat. “We lost,” the Union Solidarity and Development Party (USDP) chairman Htay Oo said bluntly, unable to argue with early indications that suggested the party of Aung San Suu Kyi had won a convincing landslide. Her National League for Democracy (NLD) will dominate the new parliament in January. This is the second such victory for the party in 25 years, but the first that appears likely to be accepted. As Taiwan and mainland China forged agreement after agreement over the past several years, the prospect of another Taiwan crisis receded — but that is about to change. In a striking shift from six decades of diplomatic precedent, the presidents of Taiwan and China met last week in Singapore for the first time since 1949. The meeting between Chinese President Xi Jinping and Taiwanese President Ma Ying-jeou has sparked vociferous debate in Taiwan. The ruling Kuomintang (KMT) Party is hailing it as an historic achievement worthy of next year’s Nobel Prize — it would not be the first prize awarded as an incentive for future diplomatic breakthroughs. Meanwhile, the opposition Democratic Progressive Party (DPP) is casting the summit as a pandering stunt to pressure the likely next president, Tsai Ing-wen, to clarify her position on the so-called 1992 Consensus of “one China with different interpretations.” The matter is likely to come to a head in televised debate shortly before the mid-January Taiwanese election. On October 27, USS Lassen, a U.S. Navy guided missile destroyer, completed a freedom of navigation patrol through the Spratly Island chain in the South China Sea. The warship reportedly sailed within 12 nautical miles of Subi Reef, occupied by China, and also sailed close to reefs occupied by Vietnam and the Philippines. “We’ve done them before all over the world,” U.S. Defense Secretary Ashton Carter said afterwards, “and we’ll do them again. We mean what we say. We will continue to fly, sail and operate wherever international law allows.” China reacted with more than just vocal protests. It dispatched J-11B fighter-attack aircraft to its airbase on Woody Island in the nearby Paracel island chain, and then conducted training exercises with the Flanker-variant aircraft over the South China Sea. Despite a series of attacks in Paris, Beirut, Baghdad and (probably) a Russian airliner in Egypt, the military news from Iraq is cautiously good. Those who predicted the eventual defeat of the Islamic State in Iraq and the Levant (ISIL) seem to be on solid ground. The recent seizure of Sinjar and the key roads that connect Mosul to Raqqa demonstrates that the offensive against the group continues to progress. The Baiji refinery and surrounding towns have been secured, and the ISIL-held city of Ramadi is effectively encircled. ISIL is being slowly choked, but too slowly. While progress in this campaign — mostly in Iraq but also through attrition via airstrikes in Syria — is real, it needs to be happening more rapidly. Continued occupation of major cities by ISIL creates three real problems for its enemies. First, it gives the group financial resources to draw upon. ISIL is mostly parasitic, funding itself by confiscating the property of the people it governs. So long as ISIL controls territory, it effectively has a “tax base” from which to steal. Second, controlling the cities allows ISIL to indoctrinate a new generation. It is hard to overstate the emotional and intellectual damage being done to the children growing up under ISIL’s tutelage and witnessing atrocities that no child should be exposed to. And finally, possession of these cities is key to ISIL’s propaganda narrative, creating the illusion of success. While we cannot delude ourselves that ISIL will disappear when it loses territory, we should hope for at least some diminution of its mass appeal as the major media theme shifts from repeated victory to repeated defeat. Only hours after Obama’s remarks, eight men operating in three teams attacked multiple targets across Paris using automatic weapons and suicide belts in one of the most deadly and sophisticated terrorist attacks in European history. Timed on a Friday night to achieve the greatest impact, the attackers targeted a soccer stadium at game time, a music hall, and a range of other popular targets. In the Bataclan theater, victims described how attackers moved calmly through the audience firing at targets one at a time, eventually killing 80 people who had come to see a rock music show. The kit and experience of the assailants quickly suggested a highly organized effort. ISIL claimed responsibility for the attacks by Saturday morning. ISIS Executed My Son. I'm Not Done Fighting. Last August, Diane Foley's son, James, was beheaded by ISIS in a graphic video that ricocheted around the world. She recently shared her story with Esquire's Tom Junod. "It is a very small solace to learn that Jihadi John may have been killed by the U.S. government. "His death does not bring Jim back. If only so much effort had been given to finding and rescuing Jim and the other hostages who were subsequently murdered by ISIS, they might be alive today. "Our focus is on Jim's life and all the good that he did in the world. We remain humble and proud of his unwavering commitment to give voice to the voiceless as a journalist, a teacher and a friend. PRESIDENT FRANCOIS Hollande’s response to Friday’s vicious terrorist attacks in France, now attributed to the Islamic State, was immediate and uncompromising. “We are going to lead a war which will be pitiless,” he vowed. The Islamic State of Iraq and al-Sham (ISIS) has claimed responsibility for the terrorist attacks in Paris that killed more than 120 people on Nov. 13 — the deadliest attack in Europe since the 2004 train bombings in Madrid. French President François Hollande said the attack was “an act of war.” A nationwide state of emergency has been declared. Atlantic Council analysts share commentary on the attacks in Paris. Is oil from IS-controlled fields being mixed in with legitimate exports to Europe? The Islamic State (IS) has moved through the Middle East over the course of the past year in a persistent attempt to establish a caliphate. With over 30,000 fighters on its payroll, including their families, jihad is an expensive business. IS has made its estimated $2 billion fortune on bank seizures, ransom payouts and the illegal antiques trade, as well as taxation and extortion. But oil has been at the core of the Islamic State’s money-making machine, bringing in an estimated $100 million in 2014. In an ironic twist, the group’s number one enemy, Syrian President Bashar al-Assad, whose war machine needs oil as much as the Islamic State needs cash, is the top buyer of IS crude. The so-called war on terror is nearly 13 years old, but which rational human being will be cheering its success? We’ve had crackdowns on civil liberties across the world, tabloid-fanned generalisations about Muslims and, of course, military interventions whose consequences have ranged from the disastrous to the catastrophic. And where have we ended up? Wars that Britons believe have made them less safe; jihadists too extreme even for al-Qaida’s tastes running amok in Iraq and Syria; and nations like Libya succumbing to Islamist militias. There are failures, and then there are calamities. As the so-called Islamic State demolishes nation states set up by the Europeans almost a century ago, IS’s obscene savagery seems to epitomise the violence that many believe to be inherent in religion in general and Islam in particular. It also suggests that the neoconservative ideology that inspired the Iraq war was delusory, since it assumed that the liberal nation state was an inevitable outcome of modernity and that, once Saddam’s dictatorship had gone, Iraq could not fail to become a western-style democracy. Instead, IS, which was born in the Iraq war and is intent on restoring the premodern autocracy of the caliphate, seems to be reverting to barbarism. On 16 November, the militants released a video showing that they had beheaded a fifth western hostage, the American aid worker Peter Kassig, as well as several captured Syrian soldiers. Some will see the group’s ferocious irredentism as proof of Islam’s chronic inability to embrace modern values. Nearly 14 years on from the start of the so-called war on terror, the global jihad movement is deepening and expanding. The West thought it could contain the Islamic State. Now Washington and its allies are facing new pressure to destroy it. The Islamic State’s deadly terrorist attacks in Paris have exposed cracks in Western intelligence efforts and cast doubt on the underlying premises behind the U.S.-led war against the extremist group. The attacks in France, which left at least 132 dead, have recast how the United States and its European partners view the group and could prompt a new urgency in the faltering military campaign against the extremists. In a possible sign of a more aggressive approach, France — which declared the Paris attacks an “act of war” — sent warplanes on Sunday to strike at the Islamic State’s headquarters in the eastern Syrian city of Raqqa as part of what French officials described as a major bombardment. The aircraft hit a command center, an ammunition depot, and a training camp in Raqqa, with 20 bombs dropped from at least 10 fighter jets, the French Defense Ministry said. A secret strategy paper suggests the Kremlin wants to find a political solution with the West on the issue of Syria. Pressure is mounting on Vladimir Putin as a result of the crash of a Russian jet in Egypt that may have been a terrorist attack. Vladimir Putin has been oddly quiet in recent days. Despite almost two weeks having passed since the crash of a Russian passenger jet over the Sinai Peninsula, the Russian president has said little about what may have caused the crash, despite mounting evidence pointing to a terrorist attack carried out by the branch of the Islamic State operating in the region. Yet Putin hasn't uttered a word about a possible reaction or retaliatory strikes. When Russia suspended all flights to Egypt, he had his intelligence chief make the recommendation instead of doing it himself. Computer intrusions and attacks have become methods for aggression. 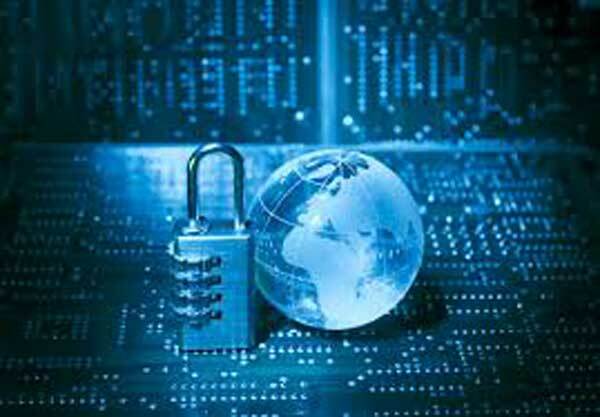 The frequency of incidents coupled with their intensity and implications have driven the world to formally recognise cyberspace as a domain for military activities for the purposes of organising, training, equipping, defence, intelligence and offensive operations. While technological advances continue to influence the art of war, perhaps the greatest technological impact came when attacks moved from being physical to being digital. Given that reality, cyberspace now has not only joined the other traditional conflict domains but has emerged as the youngest global commons which is largely anarchic with no formal governance regime; evolving and distinct in many ways. As on date, it does not yet even have an internationally accepted definition. At the last count, there were 26 definitions of cyberspace under discussion. TOKYO — Japan is planning to expand its fleet of reconnaissance satellites as part of an effort to improve the nation’s monitoring of North Korea and the Chinese navy. The move comes as Japan strengthens its military ties with the United States. A Nov. 11 report by the Space Policy Commission, Japan’s top decision-making body for space matters, recommends doubling the number of Intelligence Gathering Satellites (IGS) to eight satellites and launching two relay satellites to support the expanded constellation. Prime Minister Shinzo Abe’s government is expected to adopt the recommendations in December. Japan established the IGS program following the 1998 flyover of a North Korean Taepodong missile that North Korea claimed was a satellite launch. Fourteen Mitsubishi Electric Corp.-built IGS satellites have been launched since 2003. No aircraft is totally invisible to radar but stealth aircraft make it more difficult for conventional radar to detect or track the aircraft effectively because stealth technologies reduce reflection / emission of radar, IR, visible light, radio frequency spectrum and audio; stealth being the combination of passive low observable features and active emitters like low probability interceptor radars, radios and laser designators. Stealth technology combined with active measures to avoid detection because heat, sound and any other emissions, provides the aircraft enabling more chances of survival against radar guided weapons. 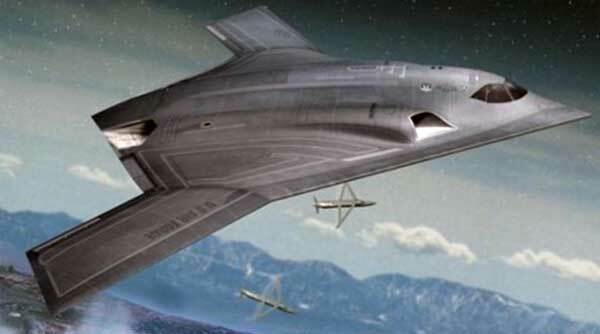 The long-range stealth bomber surely is the strategic weapon platform of the future. Stealth aircraft are hardly new – Germany began developing the first prototype during World War II; the Horten Ho 229 powered by twin BMW 003 engines. There is no history of air-to-air combat experience against stealth aircraft. In 1977, US flew its first stealth combat aircraft demonstrators, followed by Russia in 2010. US military has been flying three versions of stealth fighters and is in the process of inducting the Lockheed Martin F-35 Lightening II. The process of transitioning out of the military is a life-changing experience for service members whether they served four years or forty. But what isn’t always considered is the impact that transition can have on the service member’s family. After deployments, relocations, and all the other adjustments you make as a successful military family, it can still be difficult to return to civilian life. According to a study by the Department of Veterans Affairs, at least one million service members will separate from the military and transition to civilian life from 2011 to 2016. These service members will be met with both opportunities and challenges when returning to civilian life. Whether it’s in adjusting to a new job, new city, or just getting back into the swing of things at home, these are seven things no one tells military families about transition. 1. You can finally settle down and start some family traditions. An officer responds to a recent Atlantic article that claims the military’s rigid personnel system is driving away the armed forces’ best and brightest. Editor’s Note: This article is part one of a two-part article responding to “Can the U.S. Military Halt Its Brain Drain?” — an essay published in The Atlantic by David Barno and Nora Bensahel on Nov. 5, 2015. A small study found that the effects of toxic leadership could impact more than morale and the careers of service members by extending into both families and family readiness. The study, performed by Army wife Judith Black, who conducted the research for her doctoral degree, surveyed 10 Army officers’ wives involved in volunteer roles in family readiness groups linked to units led by toxic leaders. “The effects of toxic leadership flow into the marriage and home life of those who experience it,” Black said. The 10 women told Black that their husbands’ experiences with bad leadership left them feeling helpless, angry, frustrated, depressed and worried for their spouse’s well-being. The Last Post will be played all over the world on Remembrance Day. But as Alwyn W Turner explains, its origins had nothing to do with mourning. Arthur Lane was a bugler in the British Army when he was captured by Japanese forces during the fall of Singapore in 1942. He spent the remainder of World War Two in PoW camps and working on the notorious Burma Railway. But he also had a more melancholy duty. He still had his bugle with him and it was his task to sound the Last Post for each of his comrades who died during those years. "I'd have to go and set the fires at the crematorium. The lads would build them during the day, put the bodies on, and then somebody had to be delegated to set fire to the funeral pyres, and see that they were properly burnt, so I had to do that." How Effective is Your Leadership Narrative? What methods are best for inspiring the team after failure? How long are you willing to wait for information after an initial report? How long should a leader wait before jumping in to resolve internal team conflict? What kind of failure would cause you to relieve a subordinate? “We're not still in these wars because we haven't figured out the right tactical formation,” Marine veteran and writer Elliot Ackerman told an audience on Thursday. Ackerman was visiting the Atlantic Council, an international affairs think tank, along with writer Maxwell Neely Cohen, Linda Spoonster Schwartz of the Department of Veterans Affairs, and journalist Gayle Tzemach Lemmon, to talk about the aftermath of future war. The panel focused not on winning battles, but on figuring out how to make sure we take care of the people who fight them afterwards.